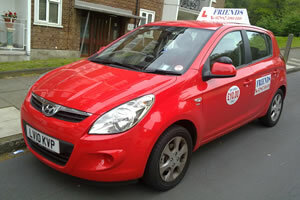 Driving Lessons Abbey Wood, Woolwich, Lewisham, Deptford, Greenwich, Eltham, Catford, Bromley, Orpington. Intensive Driving Lessons. Pass Plus Registered. Friends Driving School. Driving Lessons in Abbey Wood, Woolwich, Lewisham, Deptford, Greenwich, Eltham, Catford, Bromley, Orpington. Welcome to Friends Driving School Abbey Wood, south east London. Our Instructor is trained to the highest standards as set by the Driving Standards Agency and will be patient friendly and supportive throughout the learning process. He tailors your driving lessons at a pace that suits you and help you to develop the confidence skill you need to drive safely on the road independently. The car is fully dual controlled and fully insured for your safety. We are a professional driving school and will cater for all of your driving needs, whether you are a first time driver or an experienced driver who needs to work on those bad habits that have crept in over the years to bring you up to test standard. 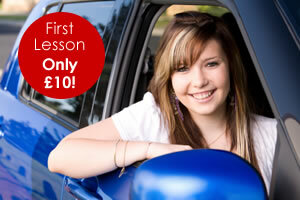 All pupils are welcome and we are sure you will find a very professional and reliable service while learning to drive. We are Pass Plus Registered Instructor which it will give you a lot of confidence on high speed roads and a good discount on your insurance. We are registered with the DSA and DIA also catering for the Theory and Hazard perception tuition as well as dual carriage ways, Motorways and country lanes. We also offer refresher courses for those who have not driven for several years and wish to take to the road again. If you have any problems in driving, then don’t hesitate to call us, as we are here to help anyone improve their driving skill. We also undertake Advanced Driver Lessons. Once you have submitted our Practical Driving Test Booking form you will be presented with a facility to make payment using Paypal. Please note that you do not need a Paypal Account to do so. You can pay using your Debit or Credit Card. 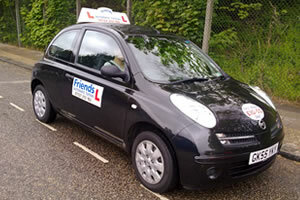 Read more about how you can learn to be a Driving Instructor with Friends.